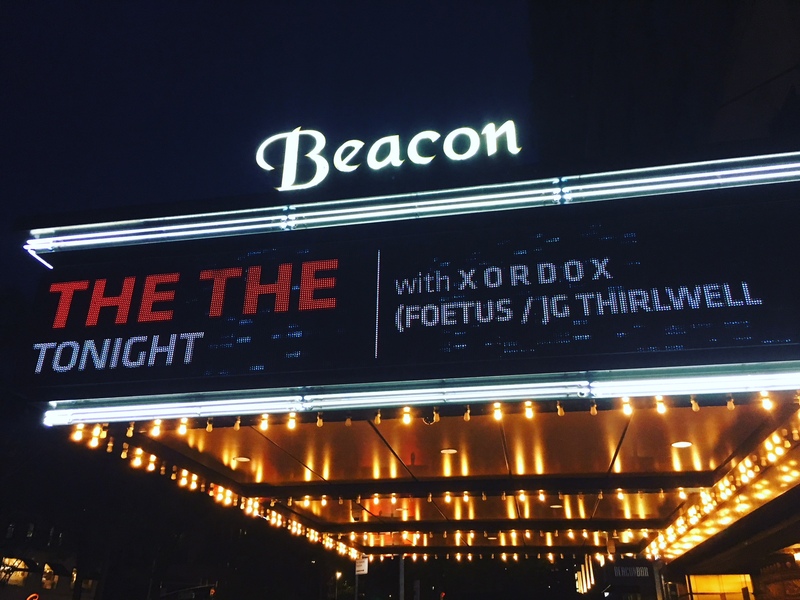 JG Thirlwell‘s Xordox project opened for The The at the gorgeous Beacon Theater in New York City on Sep 17 2018. The The’s date was in the middle of their Comeback Special tour, with The The head honcho Matt Johnson playing his first live dates in fifteen years. 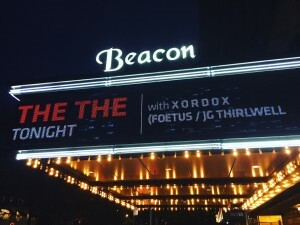 For the Xordox set, Thirlwell was joined onstage by Simon Hanes on keys, and Sten Backman created the visuals that Xordox performed in front of.